Kim Terra has had a thorny relationship to the community in many ways. 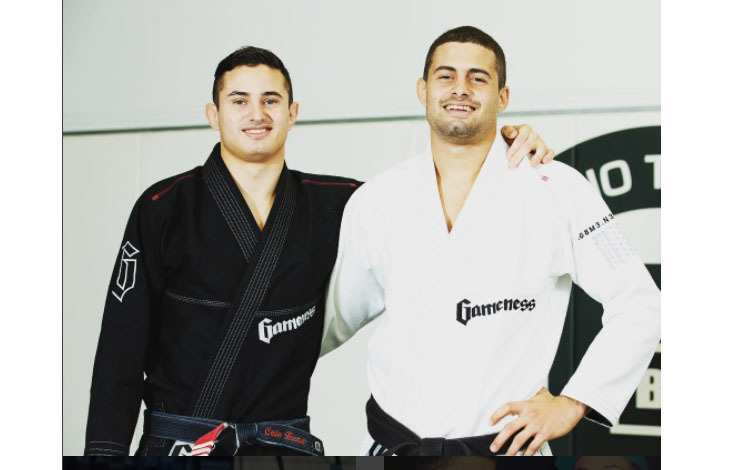 The fired up brother of World Champion Caio Terra hasn’t had it the easiest. In the past he’s called on many opponents but also Kim Terra was banned for 2 years by IBJJF in 2009 for having kicked the sponsor stands at the Worlds, and having called a few names to head referee Muzio de Angelis, face to face and online. "Exactly 10 years ago, in 2007, I came to the US for the first time with @caioterrabjj. We didn’t just figuratively “live” at the gym. We literately lived at the gym. There was no heater during winter and no A/C during summer. I cleaned the mats every night, because if I didn’t, my brother would have to. I wasn’t payed to do it. I didn’t have a salary, or a sponsor. I survived by doing small jobs like delivering newspapers before dawn, teaching privates once in a while, and bouncing at bars. I didn’t reach the “American dream” back then. In 2009, I returned to Brazil and got into Law School. I thought about quitting many times, but I never did, and I am proud of myself for that. I graduated in 2015 and came back to the US for a shot at becoming a Black Belt World Champion. I haven’t fulfilled that dream yet, but I came closer than most people ever will, with two bronze medals. Although I will keep trying to become a World Champion, I’ve also recently decided it’s time to focus on my education once again, by pursuing a Juris Doctor degree in California. I will never forget the long cold winters, the crazy hot summers, and everyone who has helped me along the way”.